If Carlsberg ran recruitment agencies, professional beer taster would be a reasonable career option. As it is, testing beers and ales isn't confined to the realms of fantasy. Breweries do need quality control expertise and regular testing of a variety of beers requires knowledge, training and instinct in addition to a love of the stuff. 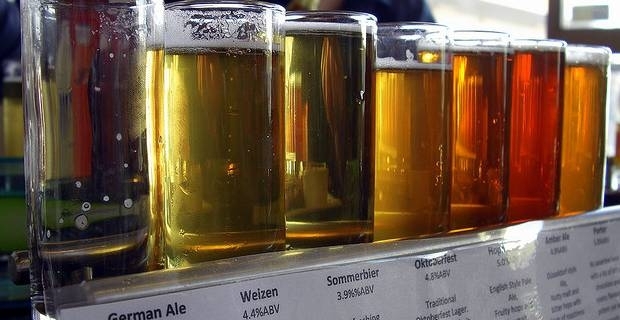 The most obvious starting point for anyone keen to become a professional beer taster is a brewery. However much of a beer fanatic you might think you are, you will need a grounding in the basics of the brewing process, the flavours that are the ideal result and the possible pitfalls. Despite the gloomy economy, there has never been a better time to seek a career in brewing in the UK. Numerous small companies and micro-breweries are springing up regularly, providing innovative and excellent beers. To meet the demand for knowledgeable staff, the Beer Academy in London offers training in beer tasting and production. Enthusiasts will often be welcomed at a local small brewery, and encouraged to study the brewing process first-hand. Learning about beer from crafstmen will help educate the palate and reveal the subtleties of the brewing process. Beer experts and writers are often chosen to judge competitions at the countless beer festivals taking place around the country. This doesn't just involve swilling a lot of beers. Judges are expected to take competition very seriously, making tasting notes, cleansing the palate with dry crackers and being able to recognise obscure hop varieties and various brewing processes. For any aspiring professional beer taster, membership of the Campaign For Real Ale, or CAMRA, is probably essential. The organisation offers information and tasting notes on a huge variety of British ales, allowing even a beginner to sound authoritative about what they are drinking. It's also a good idea to become a regular at weekend beer festivals and talk to some professionals. Intrested in bar jobs in Watford?